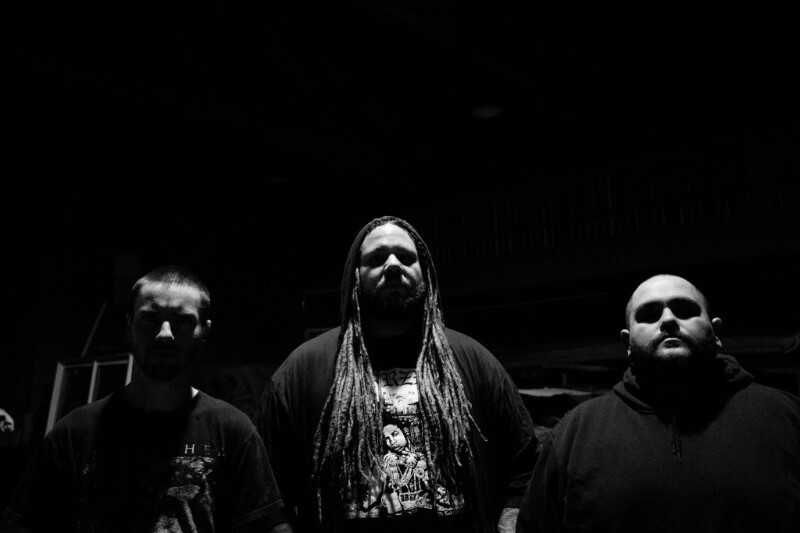 Denver’s PRIMITIVE MAN announce Spring 2019 World headlining tour dates including trips to Japan, Australia & New Zealand. The tour begins in Japan from April 11-14 with Bell Witch & Coffins, continues in Australia from April 18-21 then ends in New Zealand from April 24-27 with Heresiarch. All confirmed tour dates are available below. 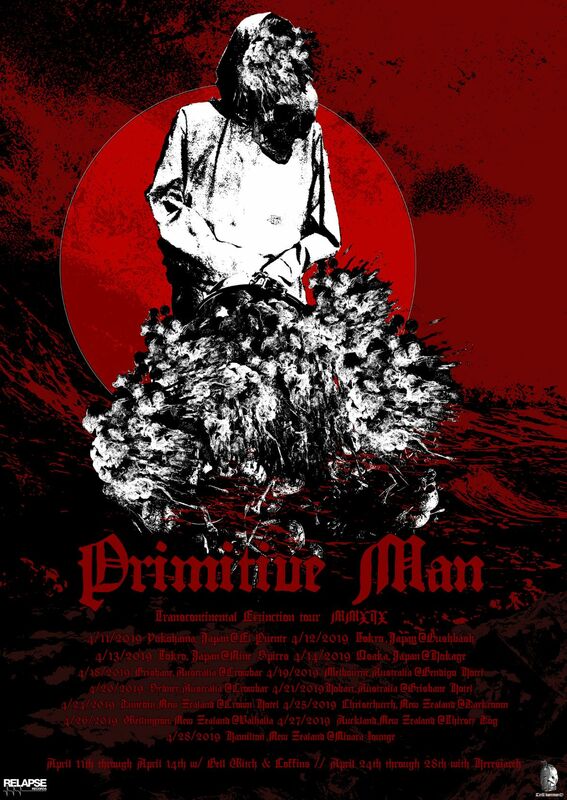 Additionally, PRIMITIVE MAN kick off four exclusive West Coast tour dates this Saturday, January 19 in Calgary, AB and ends January 25 in San Diego, CA with -(16)-. PRIMITIVE MAN’s recent full-length Caustic is out now on CD/2xLP/CS/Digital via Relapse Records. Physical Packages are available via Relapse.com HERE and Digital Downloads / Streaming Services AT THIS LOCATION. PRIMITIVE MAN & UNEARTHLY TRANCE’s recent Split LP is out now on CD/LP/Digital via Relapse.com. Physical packages, digital downloads and streaming services are available via Relapse.com HERE.